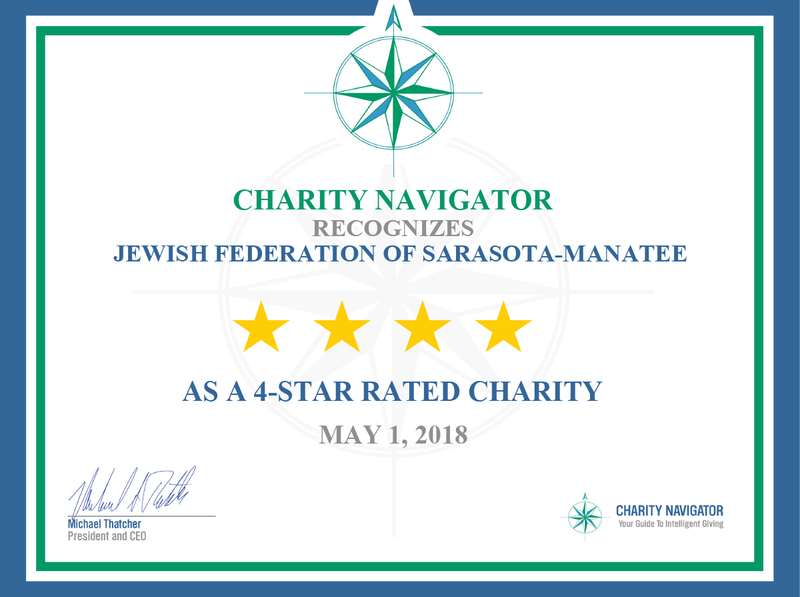 Thousands of individuals and families in Sarasota-Manatee turn to The Federation to connect with the local Jewish community. The Federation is dedicated to building a vibrant and inclusive Jewish community, where philanthropy, volunteerism and shared commitment come together to make a difference. We urge you to sponsor our upcoming events and programs which match your interests, and fit within your schedule; we sincerely believe that you will be enriched by the experience. Click on the tabs below to view each Major Gifts program opportunity. Help The Jewish Federation continue to foster a vibrant Jewish community. Click the tab above to make a donation. As a Federation Torch, you will receive premier seating and recognition at each of the events in the annual Giving Opportunities brochure. Your generosity will illuminate the way to help fund crucial services for people in need here in Sarasota-Manatee, in Israel and around the world. Corporate and Event Sponsorships offer the opportunity to subsidize the costs associated with community events hosted by The Federation, allowing us to focus a higher percentage of dollars toward improving the lives of those in need or at risk. Click the links below for more information on each program. Honoring and celebrating our legacy donors, this event will be on April 18, 2018. More information on this event to come. The Major Gifts event provides the opportunity to recognize those who make significant gifts to Federation’s annual development efforts. Click the tab above to find out more. Philanthropic Jewish women can become a Lion of Judah or Pomegranate, carrying on the tradition of Tzedakah. Click the tab above to find out more. Incorporating a unique giving model, the Women’s Giving Circle empowers women as philanthropists, decision makers and agents of change. Click the tab above to find out more. The annual Women’s Day luncheon provides an opportunity for women to come together around a theme they can all relate to while enjoying an inspiring speaker, and a delicious lunch. Click the tab above to find out more. The Jewish Federation of Sarasota-Manatee created The Beatrice Friedman Legacy Society to recognize and thank those who have made the most personal and thoughtful gift of all: a commitment to The Federation through a will, trust agreement, prepaid life insurance policy or other estate planning vehicle. Click the tab above to find out more.